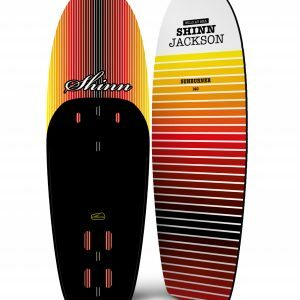 Following on from one of the most popular foil boards on the market the new Jackson Sunburner is both lighter and stiffer than it’s predecessor yet maintains the legendary durability and ease of use Jackson is known for. Achieving a robust snowboard style construction that’s both stiff (a critical feature for control on a foil board) and light is no easy task but our new and innovative V-Tech mould combined with uni-directional carbon makes significant gains in both areasThe supplied one piece pad is raised throughout giving added protection from rail strikes and improved handling of the board when in the water. 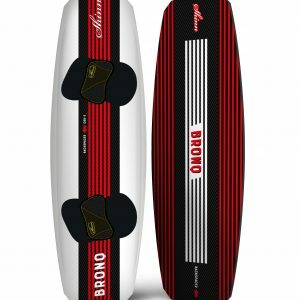 Exclusive to Shinn, the Sunburner also features our Trim Track foil connection allowing you to achieve the perfect foil position in the board. Available in 2 lengths, 140cm perfect for foil beginners or heavier riders and 128cm for intermediate to advanced riders either strapped or strapless. 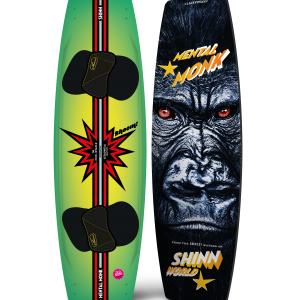 The Model F foil is fast freeride foil designed for intermediate to advanced riders looking for high speed cruising. Capable of speed in excess of 50kph only full race foils achieve higher speeds but none can match the stability and easy handling of the F.
Designed, tested and produced with a true passion for the sport the Model F is designed to satisfy the desires of the more experienced foil-boarder looking for fast upwind, aggressive carving, solid jumping and yet maintain enough pitch stability and low speed stall capability to be forgiving during those challenging foot switches, tacks and gybes that can catch out even the most accomplished of riders. 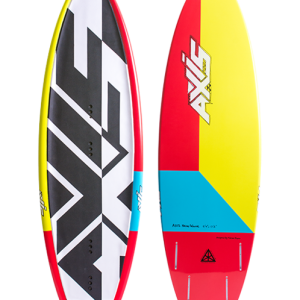 Perfect when matched with smaller boards the Model F was designed with top mounted wings to ensure durability and rigidity when the worst happens and your foil meets the bottom unexpectedly. Recommended with our 90cmmast (but compatible with all lengths) the Model F is compatible with our modular foil system allowing upgrade to any other mast or wing set in the range. 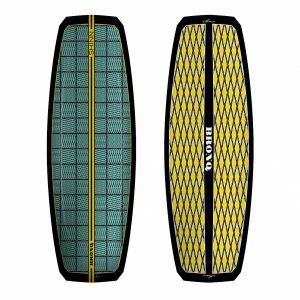 If you’re looking for a fast, stable foil with high speed capabilities and well above average durability then the Model F will be hard to look past. Early starting, stability, great pitch control and amazing carving. It reads like a shopping list for your next foil but the Model K really does do it all. Once you’ve mastered the impossibly easy to learn on Model P foil the Model K represents our vision for the step-up, perfect x-over, multi purpose foil. Strapless action, light wind cruising, transition mastery – a massive functioning speed range and easy pitch control mean the Model K fulfils the needs of even the most advanced foilers looking for something other than just flat out speed. It’s 2 years since we tore up the rule book and introduced the Model P – a revolution for learning to foil and now we’re at it again. Even now there is a chasm in terms of ability needed between beginner and true performance foils – for 2019 we aim to close that gap and introduce the Shinn K2 foil. Inheriting the ease of use, early starting and intuitive pitch control from the legendary Model P the all new K2 has an abundance of confidence inspiring stability and control that allows the rider to comfortably handle power and reach speeds that seemed impossible before. 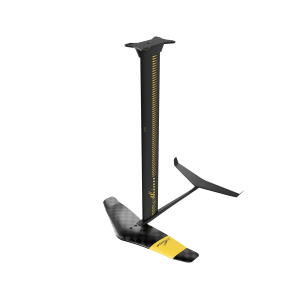 Rider further and faster without extreme front foot pressure, agility with stability and a fast track to a more advanced foiling level. With a similar rake and surface area to the model K the secret to this foil is in the combination of the 2-stage anhedral front wing and high aspect, wingletted stabiliser perfectly balancing the foil through a range of speeds. If the P wing was responsible for re-writing the rule book on entry level foiling get ready for the K2 to do the same for the next generation of high-energy freeriders. Designed for riders wanting to take their foiling to the next level – quickly. The Mega K is the most versatile wing in the Shinn range. Extreme light wind cruising, foiling in waves or strapless freeride transitions it’s also proved to be exceptionally well suited as a cross over wing for Surf and SUP action too.. With a surprisingly high speed range for a wing of this size and almost un-believable low start speed (as low as 8 kph) the Mega K leads us down the path of multi-discipline wings. 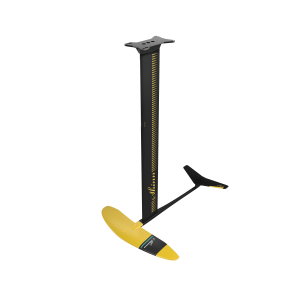 Designed to provide lift at low speeds and yet retain enough top end to keep it fun the Mega K provides stability and manoeuvrability making it the perfect choice for foiling in small to medium sized waves. 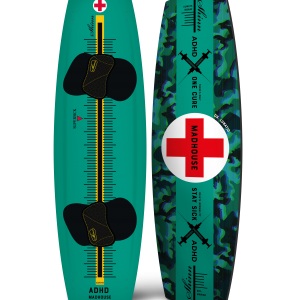 A low to mid aspect ratio wing with high rake delta outline allows us to acheive the massive speed range needed to both catch and maintain control on the wave face and cruise through the white water without fear of a stall. The main wings blended winglets work with the flat stabiliser to give superior directional stability without limiting the carving potential even at crazy slow speeds. So why do we recommend the Mega K for extreme light wind kiting as well? Low speed starting is the key when the challenge is to generate enough lift to fly. With the Mega K the power needed to water start is already enough to foil and with a top speed in excess of 35 kph you’ll be cruising when even other foilers are left sitting on the beach. 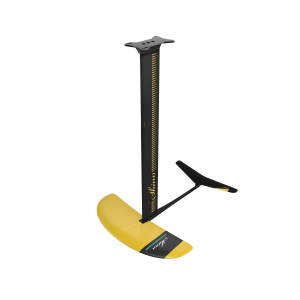 Now into it’s 3rd year and still unrivalled as the easiest foil to learn on the market, the Model P retains it’s place in the line up as our introductory hydrofoil. A sport limited to the rider elite only a few years back foil-boarding has come of age as riders of all ages and abilities look to take advantage of its benefits. When asking riders about their reluctance to foil the answer is always the same – it’s too difficult and too dangerous, well we have news for you – the Shinn Model P has changed all that and continues to lead the way in unbelievably safe and easy progress right from day one. Imagine making flying runs during your first 30 minutes with a foil…. 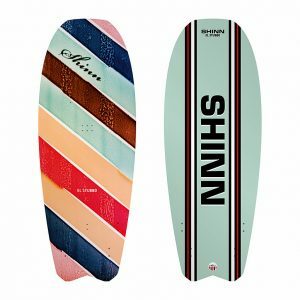 the Shinn Model P has bought foil-boarding within the reach of any competent TT rider and eliminated the frustrating and painful learning process of only a few short years ago. It’s not just the extreme low speed lift (starting at as little as 10 kph) that makes it so easy but also the predictable and progressive pitch control that eliminates the typical “porpoise” like crash scenes previously synonymous with learning to foil. 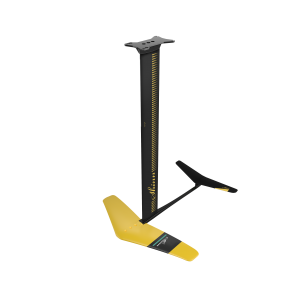 Available with a wide variety of mast lengths for progression at all levels (40,60, 75 and 90cm) with Shinn you can be sure your investment is not short lived as our fully modular foil system offers compatibility with all the other wings and stabilisers in the range allowing fast and cost-effective performance upgrades if and when you are ready for more.